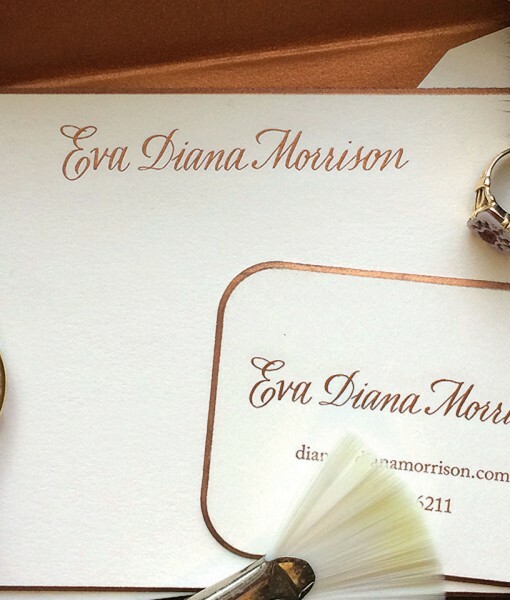 A Grande Dame deserves the most sumptuous bespoke stationery. The “Dulles grande dame” typically includes an order of note cards and coordinating calling cards, which communicate your distinctive style with thick card stock engraved with custom hand-lettering and finished with exquisite embellishments such as hand-painted beveled edges and custom patterned envelope linings. Essential for you or wonderful as a gift for your favorite Grande Dame.